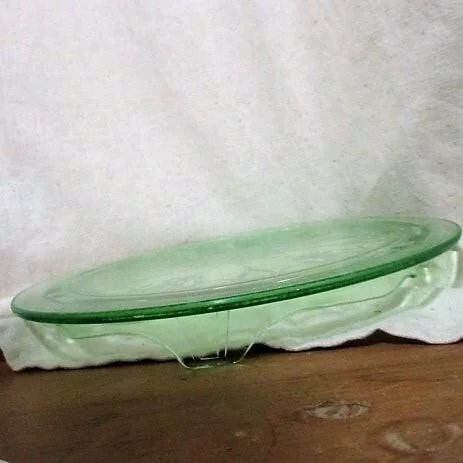 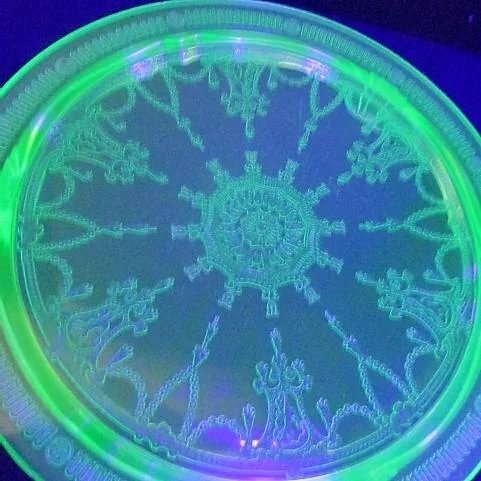 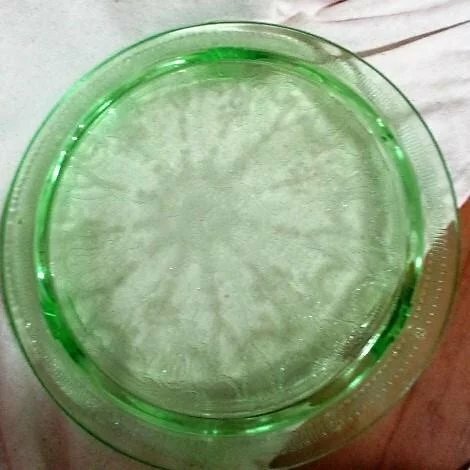 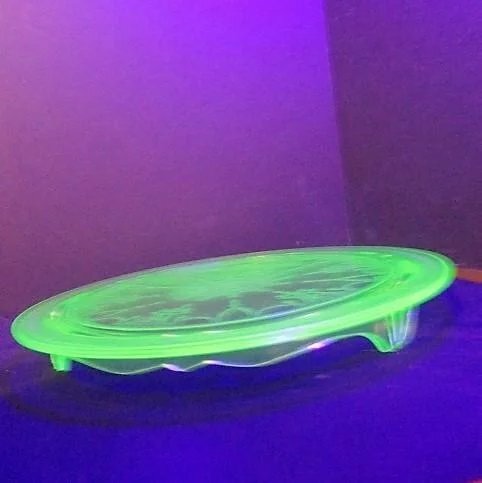 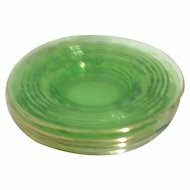 This 10" across round cake plate is a lovely light green that glows under a black light, as it is uranium florescent glass. 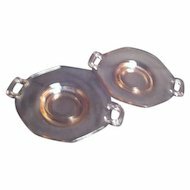 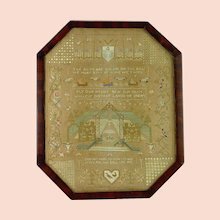 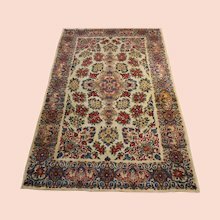 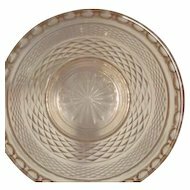 This plate has 3 feet, is 1 1/8" above table top and has a delicate elaborate design. 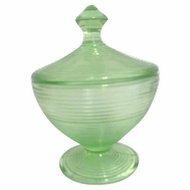 This is by Hocking, created prior to the company becoming Anchor-Hocking, 1930-1934. 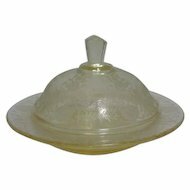 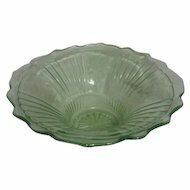 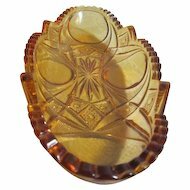 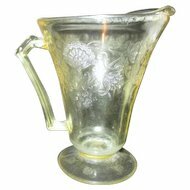 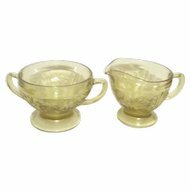 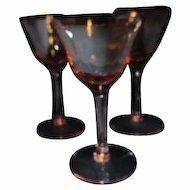 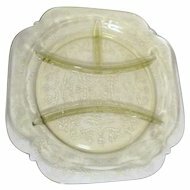 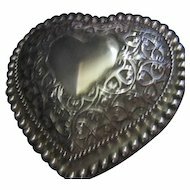 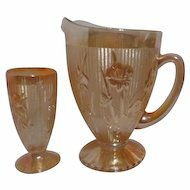 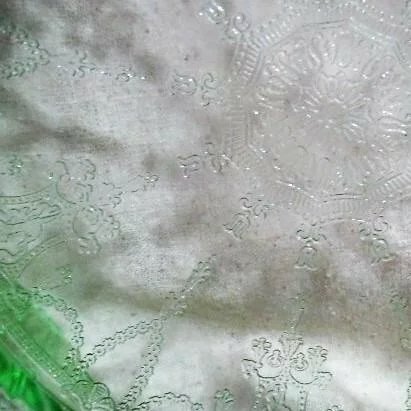 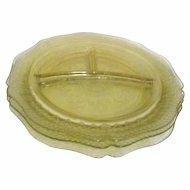 Hocking manufactured three of the most collectible patterns in Depression glass--Cameo, Cherry Blossom and Miss America--and I have pieces from these listed here from time to time. 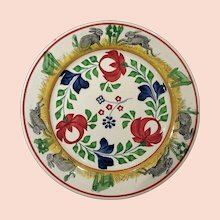 The center medallion on this plate has a European influence, and in the pattern around it, a young girl is dancing-ballerina-and reaching for a wreath or ribbon. 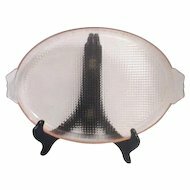 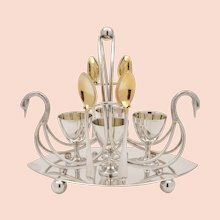 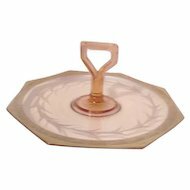 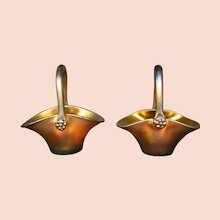 This is elegance itself without a cake and would be fun to use for a special dessert after a festive dinner. 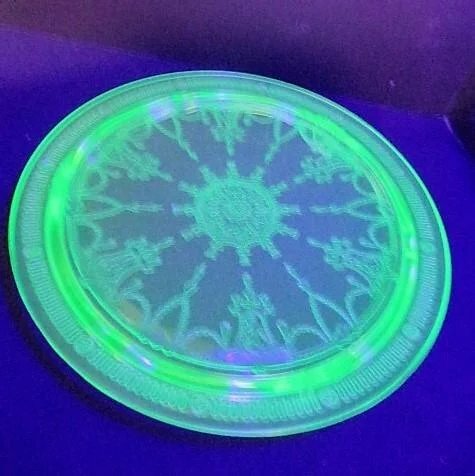 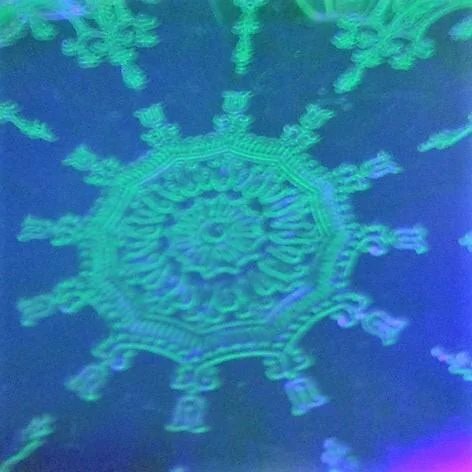 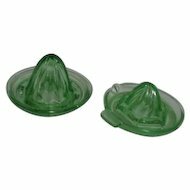 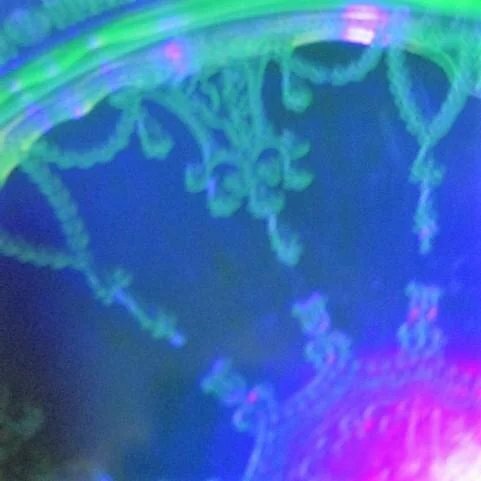 I have other uranium glass pieces here, that all glow under a black light and will combine orders for discount and shipping savings to enable you to fill a black light shelf in a display cabinet. 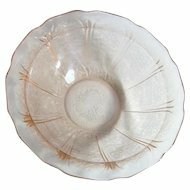 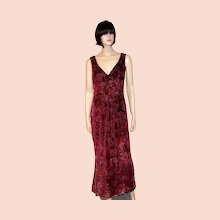 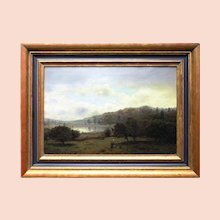 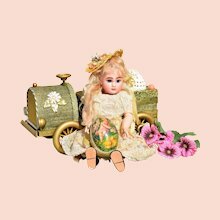 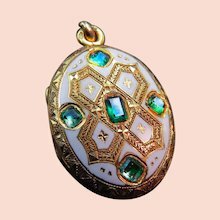 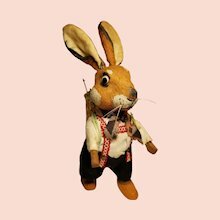 Please email me with any questions you may have and thank-you for shopping here at Something Wonderful.